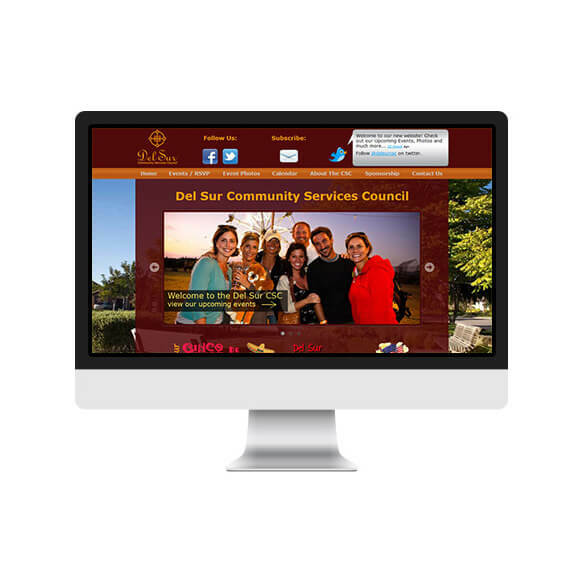 The Del Sur Community Services Council (CSC) contacted WWS to design a website for keeping residents informed of upcoming events. The CSC wanted a website that they could self-update, would list events, allow residents to book reservations for events, allow visitors to signup for their newsletter, show image galleries from previous events, and represent the Del Sur community standards. This website was built from the ground up on the WordPress platform, coding to current web standards, adding a event listing functionality that is both extremely powerful and versatile. Visitors can see events, location maps, download the event directly into their calendar, and RSVP to the event all within the site. Photos from recent events are integrated into the site directly from the photographer, and displayed beautifully.